Steve and Jeremy of Rumble Motorsports have upgraded from their Lexus V8 powered VC Commodore, featured earlier on angstrom, to a full 4130 tube frame race car based on a Holden Rodeo wheelbase running a Supercharged (Sprintex) 3.2L Holden Isuzu all-alloy block. This new car flies - literally. 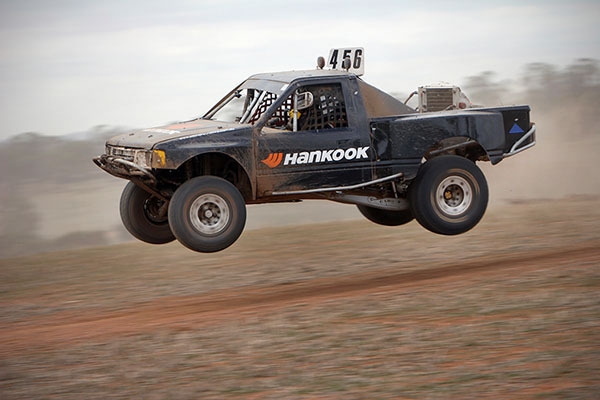 Seen here, in mid-flight, its competing at the Brookton King Of The Hill 260 (long course) event.